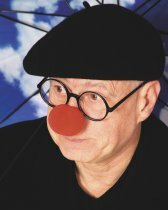 Dubbed the seventh member of Monty Python's Flying Circus, Neil Innes has made people laugh, sing and think since forming The Bonzo Dog Doo Dah Band with Viv Stanshall in the early 1960s. Since the mid '90s Neil has entertained enthusiastic audiences across the world with his unique mixture of music, comedy, and comment. The Bonzos collaboration with Monty Python started in 1968 with the TV series 'Do Not Adjust Your Set' and continued into the following decades. Meanwhile Neil formed the hilarious Beatles parody band The Rutles with Eric Idle and starred in his own hugely popular TV series 'The Innes Book of Records'. Surrealist, songwriter, beaming stand-up lighthouse and all-round Urban Spaceman...here is your chance to see a solo show with Neil in our lovely new venue at the Apex City Of Bath Hotel. "Impossible to label", as he says himself, "If I could describe what it is I do on stage in a sentence or two, then there would be no need for me to go on stage and do it".